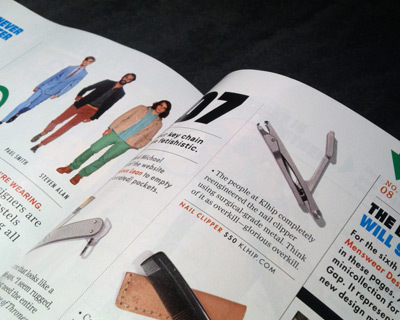 Hovie client Klhip® is featured in GQ Magazine's Special Issue Style Bible 2012. The feature states, "The people at Klhip completely reengineered the nail clipper using surgical-grade metal. Think of it as overkill - glorious overkill." Great job Klhip!